In this economy, a lot of couples are gifting more thoughtful, handmade gifts and gestures in lieu of expensive gifts. One such path is to cook up your gift for Valentine's Day. 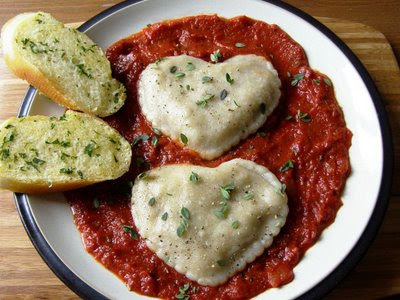 Whether you are celebrating the love day this coming weekend or on the actual day (next Tuesday), these recipes are sure to impress your sweetheart and stay light on your budget. Put a lovey twist on a breakfast favorite by trying out these cranberry buttermilk heart pancakes. Breakfast in bed never looked so good! 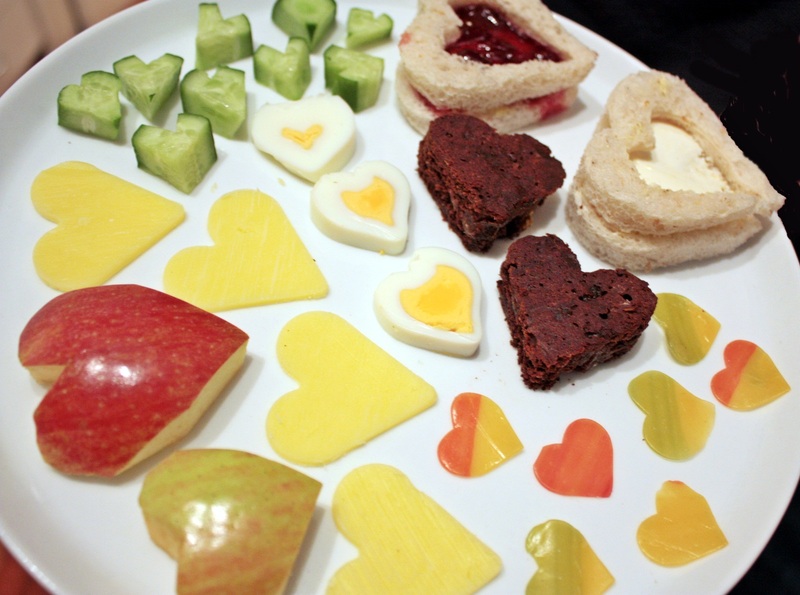 With the variety of lunch and dinner options available, there are two ways you can go: make your lovebug's favorite meal and/or make everything in the meal shaped like hearts. 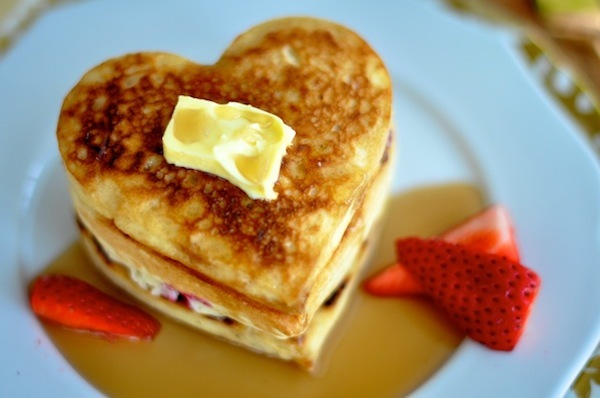 I can't predict the favorite recipe part but I can give a few ideas for heart shaped food. Sounds silly but that little extra effort can make a huge impact like the heart shaped cheese and pepperoni pizza... super cute! I have a few ideas for dessert and the first up is the easiest, Glorious Treats' candy cane hearts. 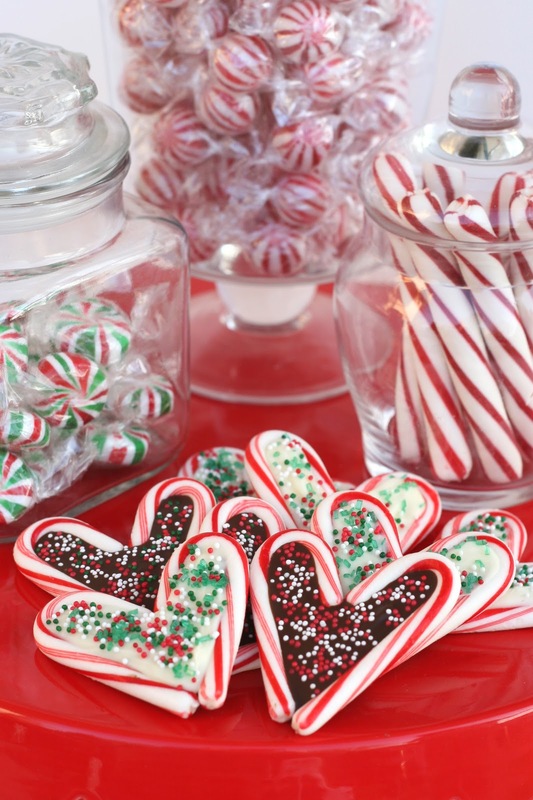 So cute and simple, this indulgence is sure to be a hit! The next recipe is for red velvet mini cakes with cream cheese frosting. The recipe is for cake but I think it is really up to you to choose mini cakes or frosting topped cupcakes. Both options are small, portable (take your leftovers to work) and more guilt-free than digging into a huge cake. Either way, this sounds like a delicious treat. I love cheesecake above most desserts and cranberry lemon cheesecake with hearts is even better! This recipe is definitely takes more time but what a yummy result. I'm really loving the swirl heart design too! This creme brulee recipe is impressive enough to wow your beloved and the steps are well explained enough to make you want to try. The heart cut out toppers are the perfect 'something extra' to make this holiday super special. Last but not least, make sure to pick up his or her favorite beer or libation. If you want to try something new, here is an awesome list of 19 love inspired cocktails. Enjoy!